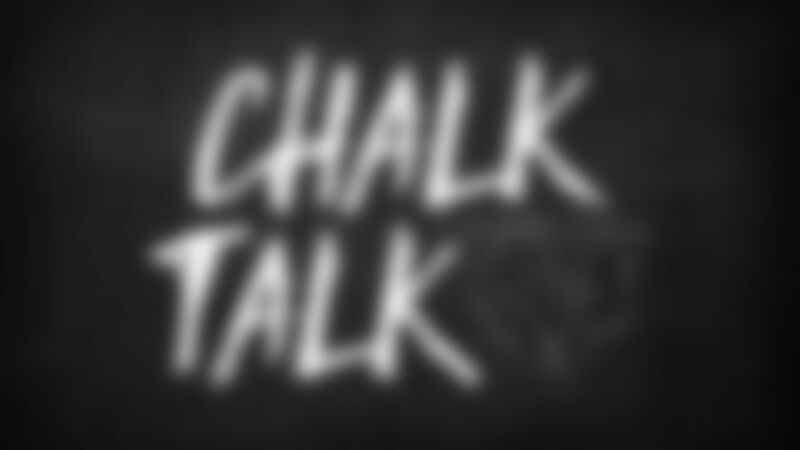 Chalk Talk: What’s the origin of two-QB play? I loved seeing the Bears line up with quarterbacks Mitchell Trubisky and Chase Daniel on the field together Sunday against the Buccaneers. How did that play come about? The play you're referring to occurred on second-and-goal from the 3 late in the first half. Backup quarterback Chase Daniel lined up next to starter Mitchell Trubisky, who was in the shotgun. Trubisky flipped the ball forward to Taylor Gabriel, who was running from the left side of the field to the right, and then faked a handoff to Daniel. Gabriel's touchdown on the play gave the Bears a 35-3 lead. The Bears designed the play in practice during the week, naming it "Willy Wonka." They were going to try it earlier in the second quarter, but Kyle Long was penalized for a false start. Said coach Matt Nagy: "The quarterbacks got a little creative, and before you know it, we came up with that play. We all felt pretty confident it might work." Trubisky revealed that Daniel played a key role in creating the play, saying: "That was a really fun play that we had in practice. Chase was a big part of coming up with it, and it opened right up just the way we drew it up." Daniel told reporters that the play caused "a lot of confusion on the other side of the ball. It was a great play design and Taylor walked in for a touchdown pass, which was pretty cool." When was the last time a Bears quarterback had a passer rating as high as Mitchell Trubisky's in Sunday's blowout win over Tampa Bay? Have five different Bears players ever caught touchdown passes in the same game? Sunday's game against the Buccaneers marked the second time in Bears history that five different players caught touchdown passes. The only other instance occurred on Nov. 14, 1943 when Sid Luckman set a Bears and NFL record with seven TD passes. Jim Benton and Hampton Pool each had two scoring receptions, while Connie Mack Berry, Harry Clarke and George Wilson had one apiece. In Sunday's 48-10 rout of the Buccaneers, Mitchell Trubisky threw two touchdown passes to Taylor Gabriel and one each to Trey Burton, Allen Robinson II, Tarik Cohen and Joshua Bellamy.